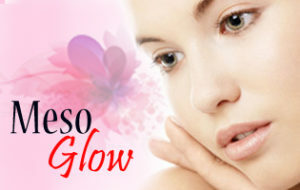 Mesotherapy Skin Rejuvenation or “biorevitalization”, is a technique used to rejuvenate the skin. It involves the non-invasive transdermal injection of vitamins, enzymes, hyaluronic acid, and natural plant extracts into the skin to stimulate the biosynthetic ability of fibroblasts and facilitate interaction between cells and is intended to increase collagen and elastin production to improve the signs of skin ageing. People who have had Mesotherapy for skin rejuvenation describe their skin as firm, radiant, youthful and glowing. Mesotherapy session is recommended every 4 – 6 weeks apart. 4-6 sessions recommended. Results are then maintained by touch-up sessions.